If you are looking for a unique solution to discover Torino hop on the City Sightseeing! Enjoy the charm of a city that boasts over 2000 years of history and yet it is stretched to the future. 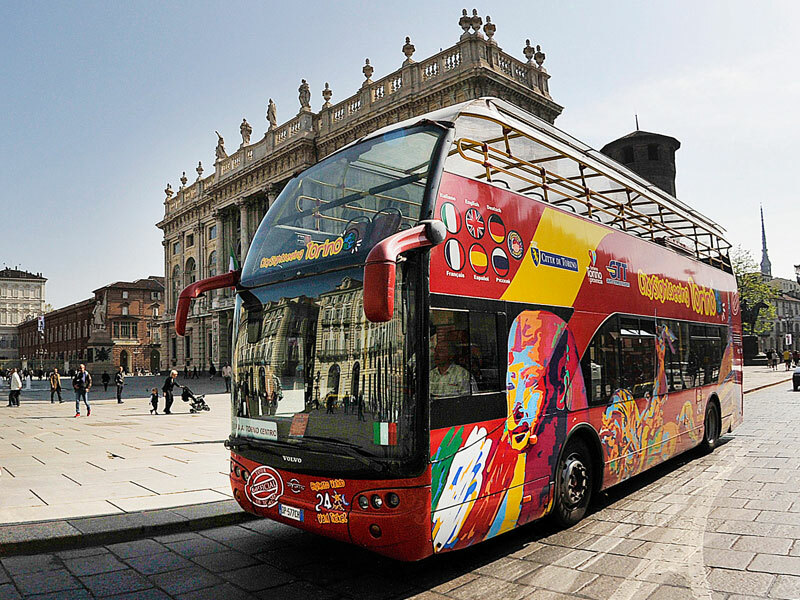 City Sightseeing Torino features 3 routes: The A line to be fascinated by the National Cinema Museum, the Egyptian Museum and the hill overlooking the Po river with the Valentino Park. The B line is the fastest way to find out the new face of the city: the renewed Automobile Museum, Lingotto, Eataly, the Olympic venues and the OGR Officine Grandi Riparazioni. The C line which comfortably leads you to the Allianz Stadium, La Venaria Reale, La Mandria Castle and Nuvola Museo Lavazza. All buses are equipped with a 6 languages digital audio system (Italian, English, French, German, Spanish, Russian, Chinese and Portuguese) and with free wi-fi. Accessibility and reserved seating for the disabled and tactile maps available on board for blind people and visually impaired.